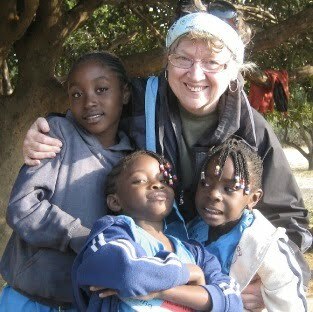 Jo LaFontaine of Bristol first went to Zambia in 2008 as part of a team of 25 volunteers for Mothers Without Borders, a national organization formed in response to the global orphan crisis due to AIDS. The volunteers work at the MWB orphanage, bring desperately needed food and medical supplies to remote villages in the bush, visit the local hospital and support the families and children in any way they can. Jo’s talk will focus on these activities and her deep involvement with the program. Jo says “We meet many people and learn first hand the conditions under which these strong and courageous people live.” She describes seeing the reality of life in Africa as life- changing. She is now a member of a group in Bristol who supports MWB through local projects and fundraising. Mothers Without Borders addresses the needs of orphaned and abandoned children in a holistic manner. We support efforts to provide safe shelter, food and clean water, education and access to caring adults. We want to assure that each child has someone who cares about them and to teach them of their value. Mothers Without Borders has our own orphanage, but we also bring help to other orphanages, the hospital and villages in the bush.